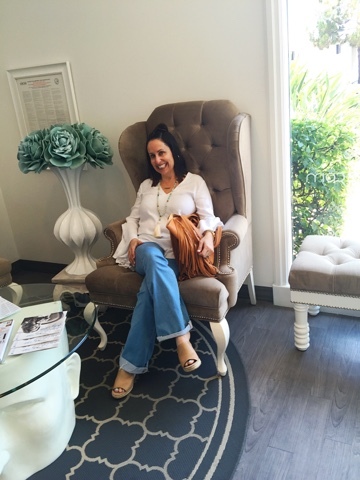 I just visited the most amazing place--Facialworks in Newport Beach!!! 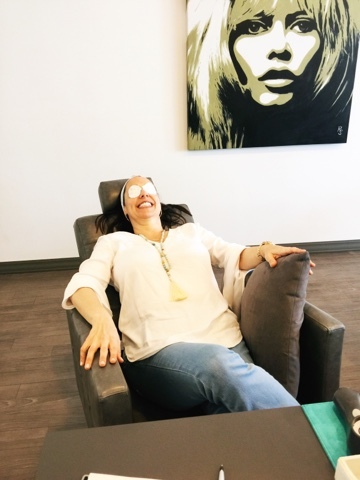 It is an oxygen facial bar. 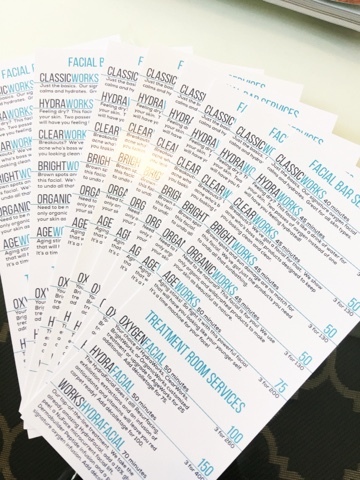 Basically Facialworks has taken the popular casual luxury bar concept and applied it to skincare. The result is a skincare experience unlike anything else. The guests are greeted with coffee, tea or a glass of champagne and then seated at a 5-chair "bar". Services are performed while the guests sip champagne and catch one of their favorite flicks. 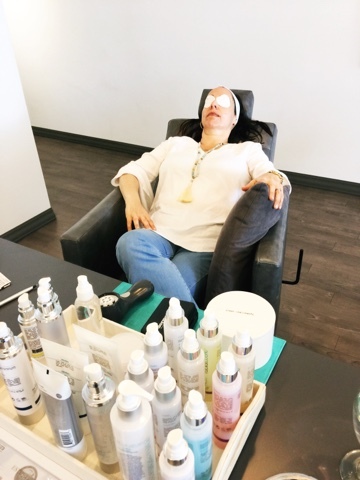 The treatment itself is a hydrating "going out" facial that utilizes the incredible power of hyperbaric oxygen machines to infuse a specially designed serum into the skin. The best part is the affordable price of $50 to start. 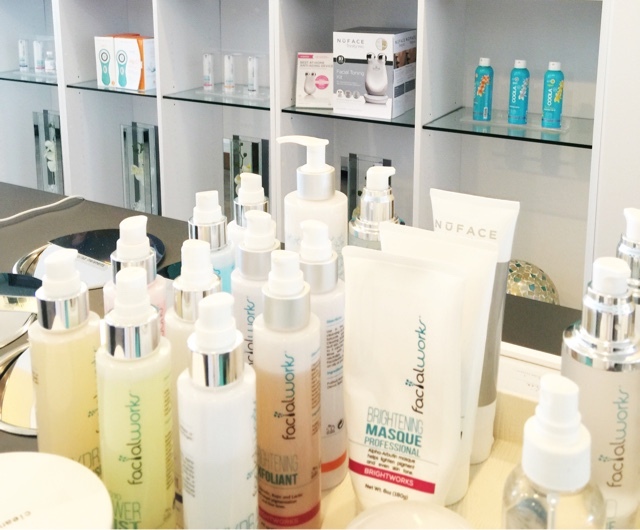 They also carry a full line of Facialworks products from cleansers to masks to the latest growth factor technology. I was lucky enough to get one of these amazing facials. I chose the Classicworks Facial. I sat at the bar and had this 40 minute facial that was heavenly!!!! I loved that Facialworks provided such a simple concept. I just sat down at the bar and began my treatment (There was no quiet room, no robe to change into). For a mom on the go like me, I really enjoyed the ease of my experience. I also loved the oxygen machine that infused my skin. This was such a unique experience. When my treatment was over, my skin was literally glowing. It looked so soft and refreshed. 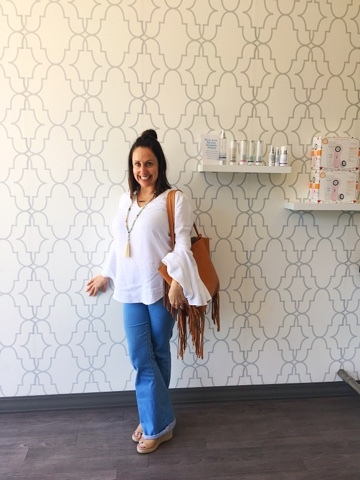 I think every girl needs to visit Facialworks once a month to rejuvenate their skin (I know I will). 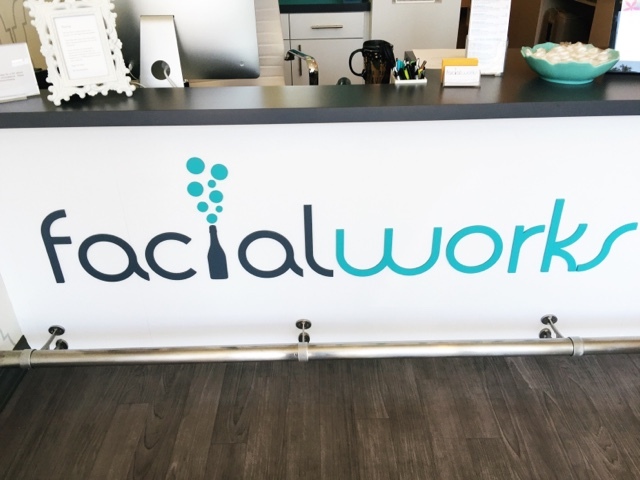 Hope to see you at Facialworks sometime soon!!! Happy reading!!!! Thanks so so much!!! I so appreciate it !!!! You have to check it out!! You will love it!! !